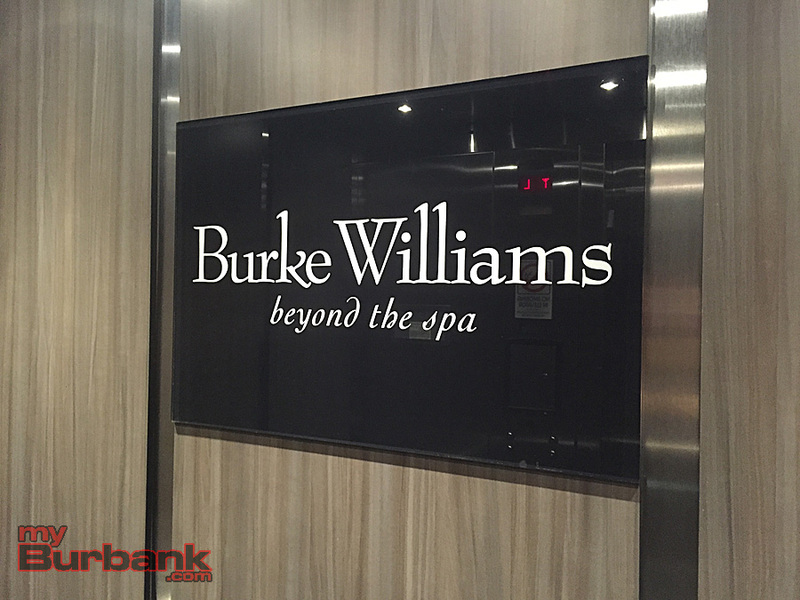 Just over the hill in Hollywood, a soothing day spa experience awaits at Burke Williams Hollywood. After massaging and soaking and steaming all the stress away, pick up a healthy salad from the amazing Sweetgreen, located just down the street. While Burbank has some lovely day spa options, there’s nothing quite like the Burke Williams experience with hot steam and cold mist rooms, sauna and warm jacuzzi for melting away the stress of city life. 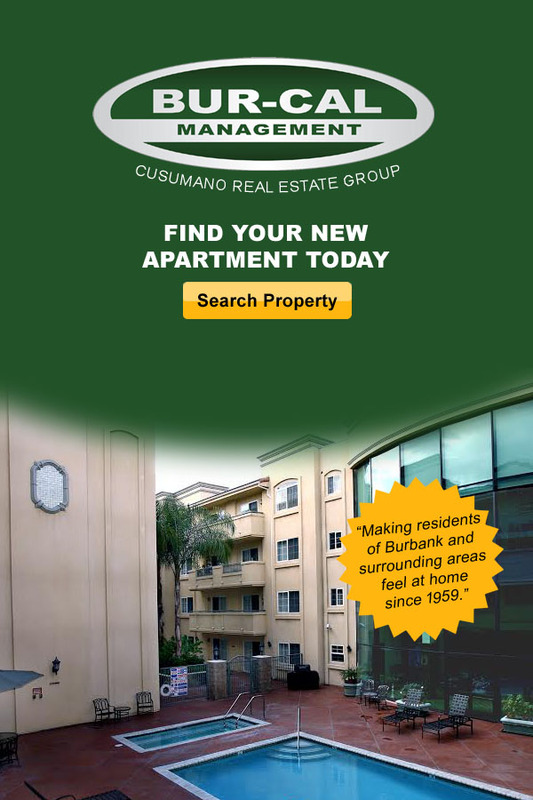 Burke Williams Hollywood, located in a large building on La Brea Avenue, just south of Santa Monica Boulevard, boasts gorgeous and spacious interiors. Nail care, custom scent mixing and Style Blow Dry Bar services are all available, in addition to the standard range of facials, waxing, massages and chiropractic treatments. Service is attentive and professional and the facility is very clean. No cell phones are allowed, lending to the peaceful atmosphere. Plentiful free parking is available on site. Our favorite aspect of Burke Williams is the multiple wet and dry, warm and cool, rooms. Relax in the warm bubbles of the gigantic jacuzzi pool and heat up in the hot dry heat of the sauna. Cool down for a few minutes in the cool mist room. Breathe deeply in the hot steam room and open those pores and lungs. Massages and other body treatments are a specialty of the day spa, and the entire experience is calmly directed and performed for ultimate relaxation. 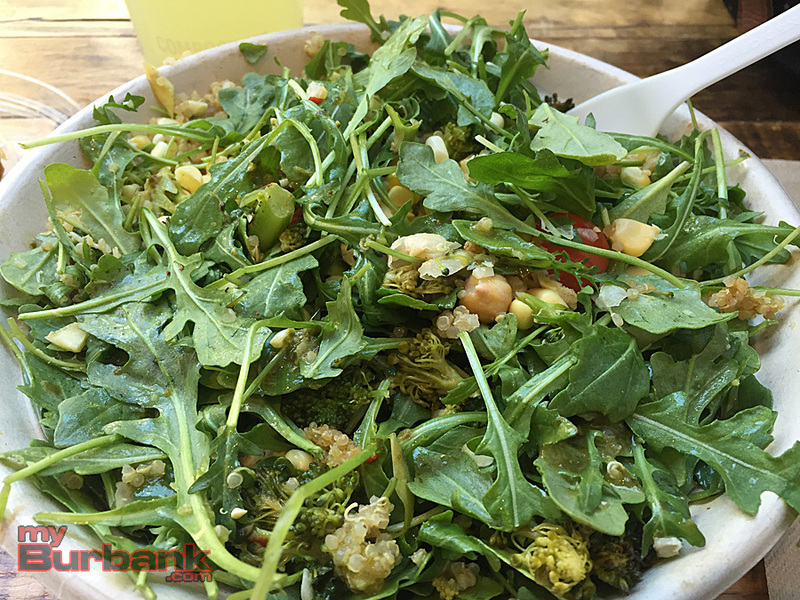 After all that body and mind cleansing, we felt compelled to feed our bodies with healthy food, so we headed over to Sweetgreen, located near Sunset and Gower. We first discovered Sweetgreen on a trip to New York City and loved the Nolita spot. The popular chain now has an outpost in Hollywood and is super popular. There always seems to be a line, but it moves fast. Ordering a to go bowl with the Sweetgreen app is easy and convenient. 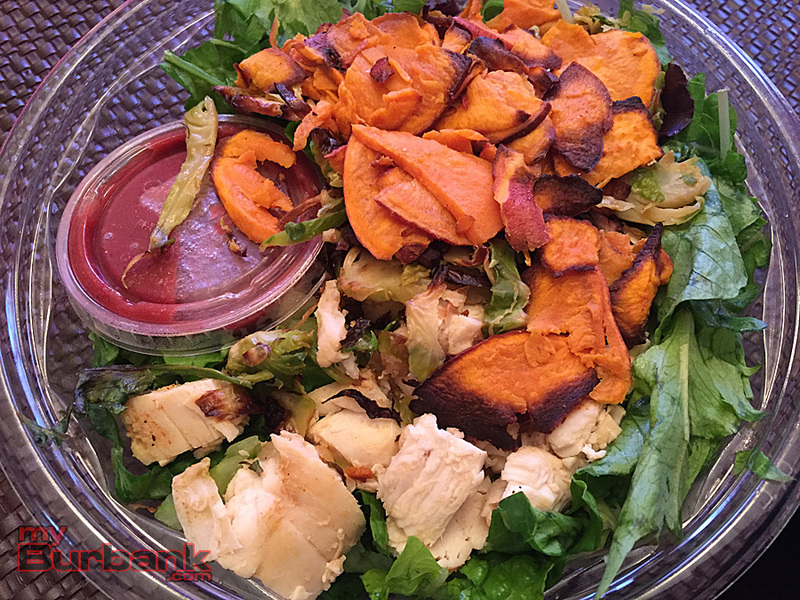 Choose a salad or bowl from the menu, indicate your pickup time and pay via the app. Pop in to the restaurant and pick up your to go order on the metal table near the cash register. There’s plenty of space to sit down and grab a bite by yourself or with friends, including a fun structure of stair steps along one wall. We enjoyed the Chicken and Brussels salad this visit. The menu changes by the season and includes locally sourced meat, vegetarian and vegan options, all with calorie counts posted. Creative dressings add to the flavor of the fresh veggies and meats, without adding a ton of calories. 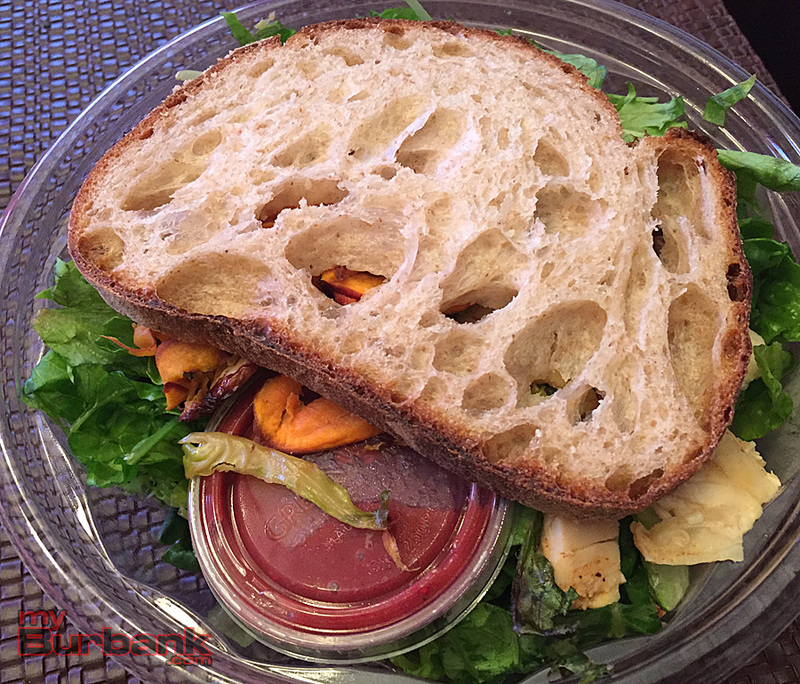 Don’t forget to order your complimentary slice of homemade bread with your salad! Eating healthy can be convenient and taste great. Maybe we’ll get a Sweetgreen in Burbank soon and we won’t have to Get Out Of Town! to pick one up! This entry was posted in Get Out of Town!, News and tagged burke williams hollywood, get out of town, sweetgreen on October 11, 2016 by Lisa Paredes.